Flexpak provides M-Woven Xwrap Packaging for use with metal and steel production facilities. 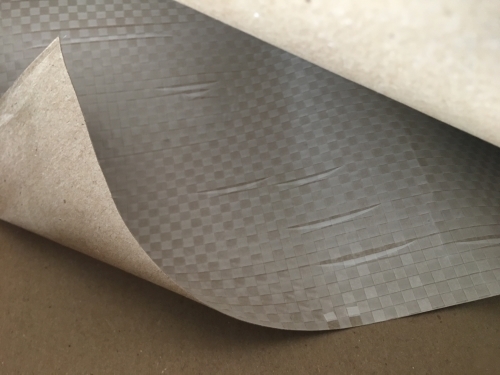 M​-WovenWrap is used as a packaging restrictive membrane against moisture while providing a tear and wear resistant weave to the post-production and shipping environments that metals will encounter. 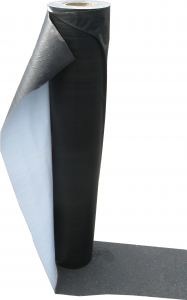 M-Woven ​metal wrap is made from Woven Polyethylene plastics and is produced in roll stock. Rolled woven wrap is perfect for end-production wrapping stations. The steel wrap can be produced plain white or with print. Widths from 36” roll stock to 144”. If there are odd shaped products, steel covers can be manufactured to meet such a challenge. Flexpak can use heat seal or sewing capabilities to produce a steel cover that provides a protective barrier to the elements while setting the conditions for packaging success. 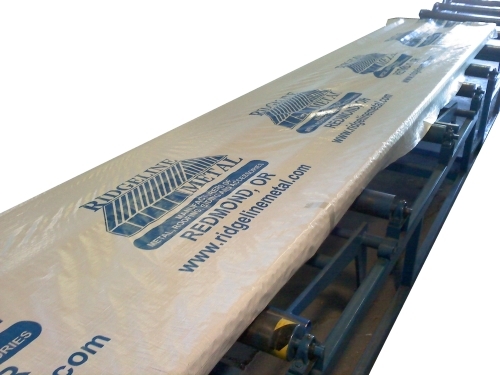 Steel wrap not only protects metal products from moisture entering a shipment, but prevents a build-up of dirt and grime on oil-based protective additives. Such protection allows for a clean presentable metal product to arrive in the hands of the end-consumer. Contact Flexpak at any point to discuss steel wrap or metal packaging options. The light weight kraft backed woven is made for protection and strength, and is commonly used for metal products. This woven metal wrap is made with 40# kraft backing a woven polypropylene which is laminated together. It allows for a water absorbent and buffering paper panel, to be reinforced on the opposing side by a tear resistant substrate of polypropylene. Common uses for this metal wrap is in panels and coils. Standard M-Woven is 2.1oz white Polypropylene.